In an interview with the French daily L'Equipe, has recounted the terrifying moments leading up to his stroke on October 3 at his home in Yaounde. “My blood pressure was up at like 25 and it felt like my head was exploding,” remembers Song. “I was lucky to fall on my side and that way when I went down my tongue came out. At the time the 40-year-old was airlifted to France for specialist treatment after suffering a cerebral aneurysm and falling into a coma. 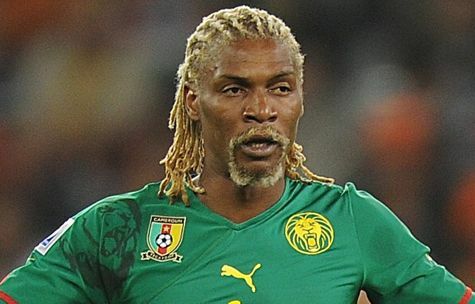 The former Liverpool and West Ham defender, who led Cameroon to back-to-back Africa Cup of Nations titles, is now confident he will recover fully. “I'm back from the brink,” concluded Song.